Imixs Open Source Workflow – Why Should I Use Imixs-Workflow? Why Should I Use Imixs-Workflow? So the first question so far is - why should you use a workflow engine? Surely you can also implement your business states within a database. But the reason why you should use a workflow engine comes from a different direction. The workflow engine manages your business data behind the scene and generates a lot of useful business information. Both information are part of your model and need no longer be managed by your code. A complete list of all processing information generated by the workflow engine can be found here. 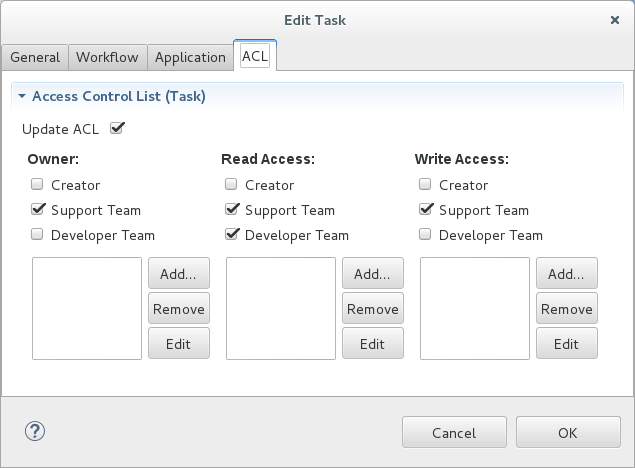 The Imixs-Workflow engine in addition adds a custom Access Control List (ACL) to each process instance. This ensures that only authorized persons can change the process instance. Models can also contain complex business rules to describe how a process should behave under certain circumstances. You can find more information about in the section ‘How to Model’. This Processing History is generated by the [HistoryPlugin(./engine/plugins/historyplugin.html). Plugins are an excellent way to adapt the behavior of the workflow engine to your own needs. Learn more about this interface in section Plugin API.